Universities and Academic Institutions carry two main responsibilities; one of them is of course education and training, another one is Scientific and applied research. Not paying enough attention to the second requirement and neglecting its importance shows an institution’s carelessness regarding the matter and thus education and learning is affected in a way that does not chase realities and does not maintain the needs of the society. 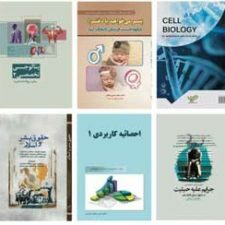 Scientific Research is in fact the production of thought and knowledge and educational institutions are responsible for its fulfillment but due to an overdue of expenses and lack of a transparent and coherent administration for the field in Afghanistan, the importance of this topic is underestimated. No attention towards scientific and applied research in the country, despite the human resources available shows the lack in inspiration and gap in the structure of higher education institutions. The result of unawareness regarding the sensitivity of this topic is more educational dependency and underdevelopment. 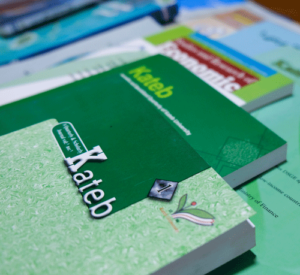 Kateb University Journals are published once in every while and this publication is one of the achievements of Kateb University besides the publication of books and conduction of scientific conferences. These scientific achievements are results of structural and regulatory changes and reformation in the field of research. 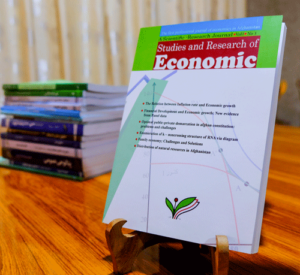 By establishment of a research council and determination of the motivated managing director, Mr. Mahdi Mohaqiq, we will be expecting regular publications of such journals, more text-books and conduction of more scientific conferences. Today’s world is full of unfamiliarity and difficulties, mankind’s knowledge helps to unfold them and strives to know more and find solutions. A researcher is curious about everything surrounding him and wants to find the correct answer among hundred assumptions, through scientific possible solutions. Researcher strives to work on a specific phenomenon and find the action and reaction of various factors on each other and for getting the truth hidden in reality, invent the specific rules and regulation from interactive factors and know the concept of its study. In this way he strives to build his hypothesis based on logic, reason, and rebuttal, various data to be collected, classified, and analyzed based on hypothesis. And the relation between variables should be evaluated by scientific and experimental experience. In scientific methods measuring of variables is based on mathematics, statistic, econometrics and other logical measuring ways and quantifying, because cases are quantitative. Observation, analysis, and evaluation in high method, is the biggest scientific invention of human being from my personal perspective and all the progress and achievements are based on it. This way of thinking and solving the problems is not for natural science, and is used in humanities concepts today. Creation of new ideas and getting to scientific and practical mobility, needs strong machanism of decision making besides invention of new scientific methods, works which came from a purposeful research. In many underdeveloped countries although there is no effective engagement between scientific studies and mechanism of decision making, sometimes decisions prohibits the scientific studies. This weakness exists in our country in all levels of decision making and it caused unscientific, obligatory, and inexpert decisions. This quarterly is the result of my colleagues’ effort that knows the principles of methodology, and understand the gaps of decision making in the country, and strived to solve the problem and also increase the research in decision making system. There is no place on earth today that is not affected by Human Rights phenomenon. Values, Politics, Culture, Law and Economies are all affected by this very well-known phenomenon. 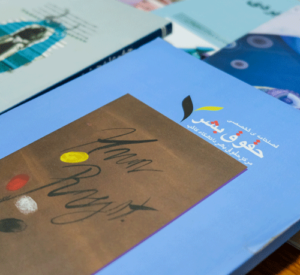 Using the human rights tools many people around the world have made new demands from their governments, setup revolutionary movements to benefit the best out of their rights as humans.